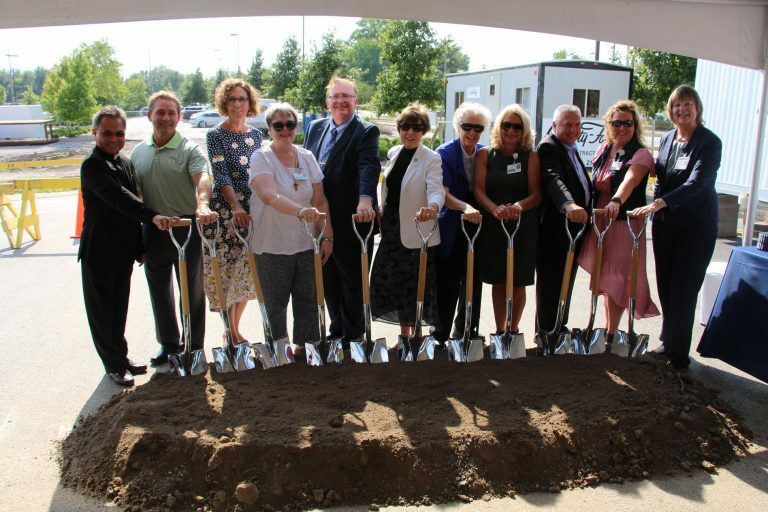 Decatur, Ill. – HSHS St. Mary’s Hospital and HSHS Medical Group held an official groundbreaking ceremony to celebrate the beginning of construction on our newest medical office building. Hospital and medical group leaders took part in a short ceremony and prayer followed by a ceremonial groundbreaking. The new building will be home to the HSHS Medical Group Multi-specialty Care Clinic. “There are so many individuals who have helped us reach this step. We want to thank our colleagues, physician partners, volunteers and especially our Sisters whose Franciscan health care ministry we take forward into the future,” said Julie Moore, Executive Director of Philanthropy, Advocacy and Community Relations at HSHS St. Mary’s Hospital. Hospital and medical group colleagues were also on hand for the ceremonial groundbreaking. “This new facility focuses on patient-first care by providing a modern, spacious and family-friendly environment, which will foster our patients’ well-being,” said Melinda Clark, CEO of HSHS Medical Group. The new $12 million, 29,000 square foot building is expected to be completed by summer 2019.